Oracle is adding 12 new cloud data centres around the world, the company announced Monday. The new datacenters will be built throughout Asia, Europe, and North America. It’s part of Oracle’s efforts to reposition itself as a cloud infrastructure company. Oracle is making heavy investments in its cloud infrastructure with the addition of 12 new data center locations around the world, the company announced Monday. “As we invest, our margins will continue to expand. 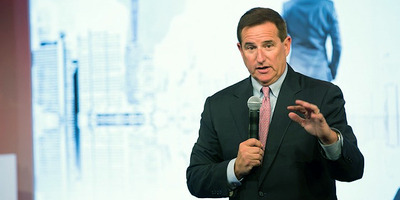 And with our global datacenter expansion, we are able to help customers lower IT costs, mitigate risks and compete like they never have before,” said Oracle co-CEO Mark Hurd in a statement. The 12 new locations include China, India, Japan, Saudi Arabia, Singapore, and South Korea in Asia, as well as Amsterdam and Switzerland in Europe. Oracle will also open two new data centres in both Canada and the US. Oracle, which made its name and fortune selling on-premise databases, is in the midst of repositioning itself as a cloud provider. However, the company consistently ranks behind other tech giants – including Amazon Web Services (AWS), Microsoft, Google, and IBM – in terms of market share. Last quarter, Oracle reported $US1.5 billion revenue across its cloud products, compared to $US1 billion at Google, and $US5.1 billion at AWS, though each company includes a different set of product offerings in its cloud calculations, so it’s not accurate to directly compare their cloud revenues.